Away is giving their classic carry-on bag a shiny new upgrade, literally. 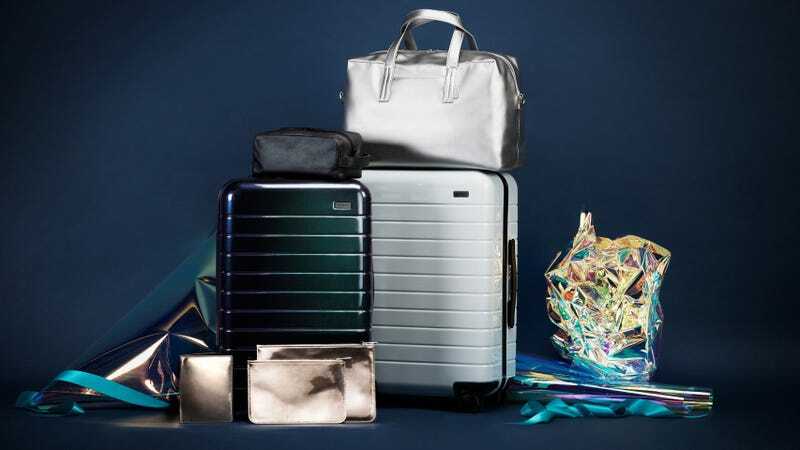 The luggage brand is finally embracing some sparkle by introducing two new limited edition colors as part of their Solstice Collection, and they’re utterly mesmerizing, if you ask me. The first new hue, Aurora is “a deep iridescent green that shifts and changes at every angle, inspired by the aurora borealis,” according to brand, while Halo “is a radiant white with a pearlescent, glossy finish inspired by the prismatic effects of the sun.” Day or night or whenever you next take flight, these suitcases are sure to light up the sky.